Place some ice in a lowball glass and set aside. In a cocktail shaker, add the diced starfruit, sugar and basil. Using a muddler, muddle the starfruit mixture until it is nice and mashed up. Add the lemon juice, sake and a handful of ice. Shake vigorously for about 30 seconds. Double strain into the prepared cocktail glass. 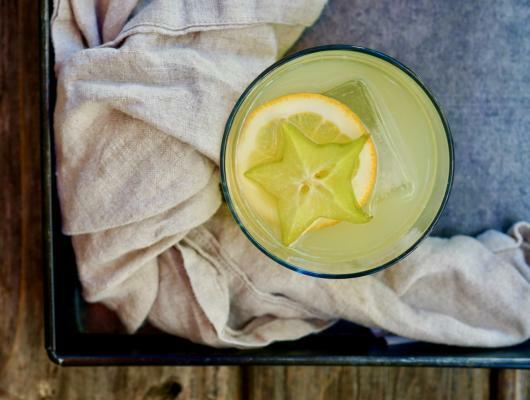 Garnish with 1-2 slices of starfruit and a lemon slice.